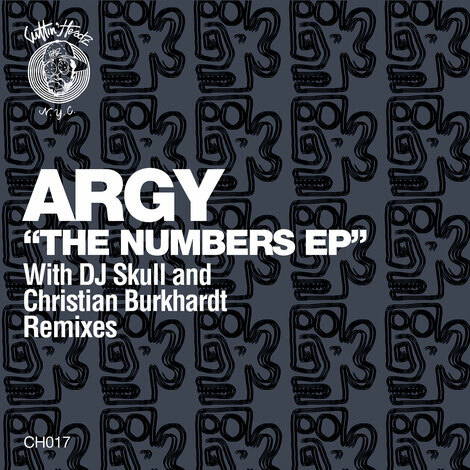 Cuttin’ Headz returns with a new EP from long-time Martinez Brothers collaborator Argy, entitled ‘The Numbers’ EP and backed with remixes from DJ Skull and Christian Burkhardt. Behind such tracks such as ‘Love Dose’, ‘Unreliable Virgin’, ‘Debbiedowner’ and ‘Upon Ourselves’, this EP will be released on 30 March. After spending an entire week digging for tracks in the basement of a vinyl store, indulging in white label bootlegs and lost classics from the ‘80s and early-90s, Argy left with a bag full of rare pressings and was immediately inspired to compose his next EP, after having spent a year focusing solely on remixing artists such as DJ Hell, Terrence Parker and more. Riddled with obscure 30-year-old vinyl fragments and noises ‘The Numbers’ EP nods towards the UK rave scene, early warp, US proto-house and nugroove. It was all recorded with a live feel and the title cut lays focus on acid bass, drums and trippy vocals before ‘Tutti Fruti’ employs hip house vocals, swinging rhythms and spiralling synths swells, ‘A.F.T.E.R’ then rounds out the originals with a darker edge via murky stabs and echoing vocal murmurs. Chicago’s DJ Skull steps in to rework ‘The Numbers’ next, and delivers energetic house fuelled by a drum machine workout, the original’s hypnotising bass lead and sporadic vocal shots before Germany’s Christian Burkhardt stamps his mark on the title-track via skippy drums, a snaking bass groove and intricate processing of the original elements.